@ACE OF VAPE ...........congratulations you have achieved what I thought impossible. Never thought that would happen and she is extremely happy with her unit........therefore I am also extremely happy.......lolz. she achieved civility at 6.25. Megaton, Vapor_Eyes, ACE OF VAPE and 12 others like this. So, I got a new job and more money seems to activate GAS, hath anyone ever heard of such a thing! I don't dab a lot but I was itching for a recycler, and settled on this twister from black leaf, a knock off of a RET recycler apparently..
My NANO session is ready after ESPRESSO. O what a relief it is! CANNABIS is better 4 LIFE WORTH LIVING! Vapor_Eyes, CarolKing, hujdimislav and 7 others like this. The USMC has a creed, so should we. This is my nano. There are many like it, but this one is mine. My nano is my best friend. It is my life. I must master it as I must master my life. Vapor_Eyes, ACE OF VAPE, CarolKing and 9 others like this. I got my enano two days ago. I've been "busy" testing it and trying to dial in the correct parameters. I'm upset because this is my 5th vaporizer. I owned the boundless cfx, volcano, og brick, jn brick. While I have no complains about the last two, the first two were utter waste of time and money (for me). I wonder why log vapes in general aren't as known as other vaporizers. After I owned the volcano (and sold it) I was sure I'd never purchase another vaporizer again. I'm glad I found the sticky bricks because they convinced me there's huge potential for vaping. 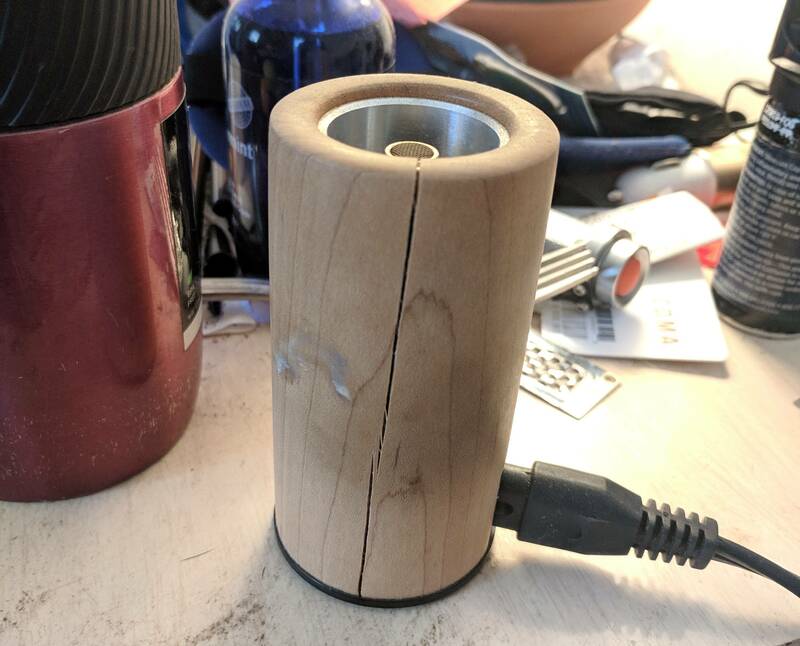 I said before in this thread that I'll own the flowerpot then a log vape. I'm super glad I didn't do that. The flowerpot might be stronger than the enano, more efficient, and amazing for both dry herb and concentrates; but nothing comes even close to using the enano (or other log vapes). I used it exclusively with water so far, and I don't plan on changing that for the time being. There's no point trying to get the perfect hit unless you note down the parameters, imo these are the most important ones, I'm looking forward to know what other parameters are important and worth considering. I can't be happier with this purchase, and absolutely will recommend the enano and other log vapes for others. Megaton, Vapor_Eyes, ACE OF VAPE and 15 others like this. I own quite a few vaporizer ‘s and the NANO is so practical to me! VAS is created to get us to have collections? 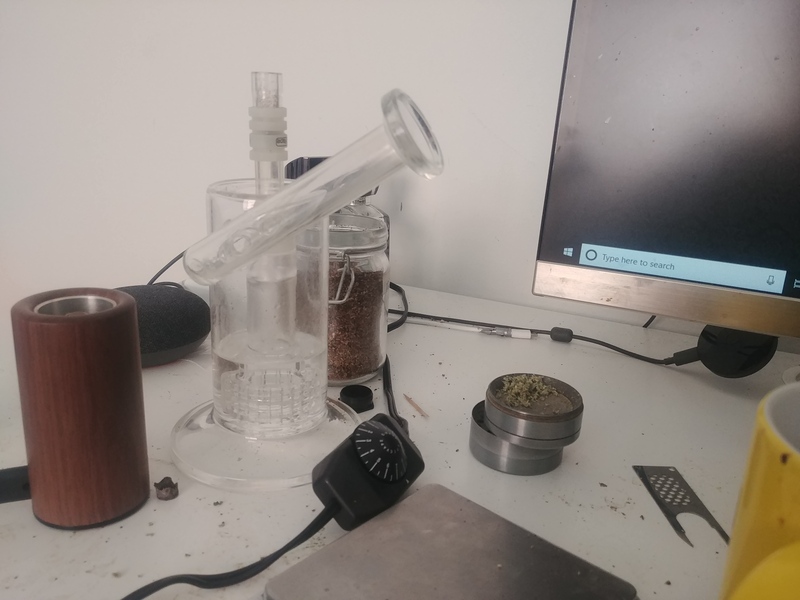 The size and it works with a water pipe so well! Vapor_Eyes, CarolKing, KidFated. and 4 others like this. I love collections, but not many. In a perfect world 1 or 2 for desktop/portable. The enano and other logs vapes are my first recommendation to people as a first vaporizer. It is so easy to use, strong, efficient, and most importantly gives you vape you can base your standards on. I see to many people start with a poor portable then they pretty much give up on vaping.. Speaking of which, and this is a question for every log owner, what is your portable? Vapor_Eyes, ACE OF VAPE, CarolKing and 5 others like this. Everybody has a different view! CANNABIS and the NANO R Ideal! BigJr48, KidFated., VelocityREST and 2 others like this. I use the Air 2 and a Nonavong(Vapcap) on the go, but usually in concert with the nano at home. I just remembered that I shattered my 18mm GonG, are there any sales or special events coming up anytime soon that are worth waiting for? Oh, and I got a nifty stepdown converter, it's a bit bulkier than the previous one, but uses some kind of galvanic conversion magic??? to tame our powerful energies, and is almost totally quiet. (For now at least) I can leave my nano on all day, like the cool americans now! Megaton, Vapor_Eyes, ACE OF VAPE and 9 others like this. I vape weed at home, and wax when I'm out (less smell + less linger = more stealthy). For wax I use a Linx Hypnos Zero. It's small, efficient, and holds enough product to give me as many hits as I need while I'm out. Vapor_Eyes, BigJr48, KidFated. and 6 others like this. Vapcap for flower and DTV3 for concentrate. CarolKing, BigJr48, KidFated. and 4 others like this. ataxian, BigJr48, KidFated. and 1 other person like this. I can leave my nano on all day, like the cool americans now! I haven't unplugged mine since September. Some Fruity Pebbles OG in the Nano normal stem this afternoon. My portables vary, but the OG Solo and the Nomad are getting most of the road games. Vapcap is usually always within reach as well. Vapor_Eyes, UnevenPizza, ataxian and 4 others like this. I heard a lot about it. The mighty always to the center and I feel like the arizer could be more affordable option. I might get the omnivong at some point, interesting for sure. I have two sais that I need to use more. How good is the DTVs? I feel like I'll spend more on the splinter than the mighty, but I feel like I won't regret it. I purchased the paranormal dna250c for CAD$144 delivered (from china, check this reply), will be here within two weeks. I'll get a splinter (most probably the version2 not the Z). The repeat feature on the dna250c will make the splinter almost fully regulated device, amazing imo. Vapor_Eyes, CarolKing, baxter and 5 others like this. I have a pretty long crack on my maple E-nano (Its about 2 years old). I would like some advice on how to repair it myself. If there is a link to a procedure on which resin or wood filler i could use to fill in that crack I would be grateful to hear about it. CarolKing, BigJr48, ataxian and 3 others like this. Something that flexes when dry to allow for thermal expansion seemed to work best for me.......Elmers wood glue. Vapor_Eyes, ACE OF VAPE, CarolKing and 3 others like this. I like your style. I too own/love the Linx Hypnos Zero....but the Nano for home! Vapor_Eyes, ACE OF VAPE, CarolKing and 4 others like this. I use da NANO for plug-in! VCAP once a week “M” however I don’t think U can compare the 2? The NANO is used way more? Maybe it’s just my POV? Joints are the best however water is LUXURIOUS 2-me? I think the NANO fits my needs? Vapor_Eyes, CarolKing, RUDE BOY and 4 others like this. Not being a fan of metal coils, @divinetribe DTv3 has been my portable go-to for years. It's discreet and can be driven efficiently by a single battery mod. BigJr48, CarolKing, ataxian and 2 others like this. Thanks. the cracks are too thin right now so Im going to wait and let them get bigger and will then fill it with the glue. I wish I could find that old thread where the guy used something that looked like a brown syrup (some sort of resin) and that looked very artistic in the end. Does anyone have a link to that older thread? CarolKing, arb, ataxian and 1 other person like this. Vapor_Eyes, BabyFacedFinster, Driver 8 and 4 others like this. With my E-Nano, I take a several hits at 6, then I use a pencil to move the load a bit closer to the top of the stem and take a couple more hits at 6.5. I then finish at 7 after once again moving the load a little closer to the top. I don't add to the initial load. Vapor_Eyes, BabyFacedFinster, BigJr48 and 6 others like this. You might want to give your load a stir a time or two if you are using the nano as a session vape. The vapor taste with the Enano leaves most portables in the dust IMO. There are times when a portable is needed though. A warm welcome to all the new Enano owners. Vapor_Eyes, hujdimislav, BabyFacedFinster and 7 others like this. I do stir each time after moving the herb up. It's easy to stir because it shrinks, leaving an empty space at the top. And of course I remove the stem after each mini-session. I should also mention that the E-Nano gives me the smoothest, tastiest vape quality of the 3 vapes I own. I love my Argo and I appreciate the speed of my Sutra (Fury 1 copy) but the E-Nano produces on another level. Vapor_Eyes, hujdimislav, BabyFacedFinster and 3 others like this. Vapor_Eyes, hujdimislav, CarolKing and 5 others like this.